1. Israel et al. (2014), Credit scores, cardiovascular disease risk, and human capital, PNAS. Abstract: Credit scores are the most widely used instruments to assess whether or not a person is a financial risk. ...we test if the same factors that lead to poor credit scores also lead to poor health. Following the Dunedin (New Zealand) Longitudinal Study cohort of 1,037 study members, we examined the association between credit scores and cardiovascular disease risk and the underlying factors that account for this association. 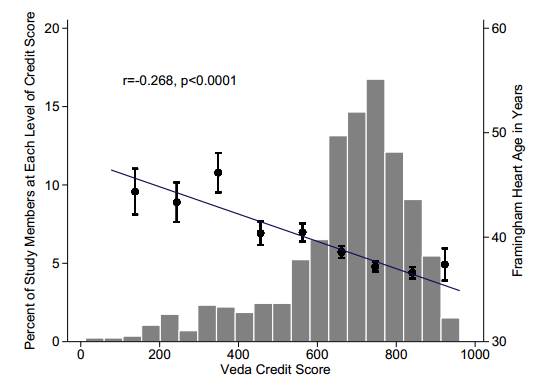 We find that credit scores are negatively correlated with cardiovascular disease risk... Individual differences in human capital factors—educational attainment, cognitive ability, and self-control—predicted both credit scores and cardiovascular disease risk and accounted for 45% of the correlation between credit scores and cardiovascular disease risk. Tracing human capital factors back to their childhood antecedents revealed that the characteristic attitudes, behaviors, and competencies children develop in their first decade of life account for a significant portion (22%) of the link between credit scores and cardiovascular disease risk at midlife. 2. Three terrific posts from The Growth Economics Blog reviewing the literature on institutions and economic development. Abstract: Trust in others’ honesty is a key component of the long-term performance of firms, industries, and even whole countries. However, in recent years, numerous scandals involving fraud have undermined confidence in the financial industry. ...Here we show that employees of a large, international bank behave, on average, honestly in a control condition. However, when their professional identity as bank employees is rendered salient, a significant proportion of them become dishonest. This effect is specific to bank employees because control experiments with employees from other industries and with students show that they do not become more dishonest when their professional identity or bank-related items are rendered salient. Our results thus suggest that the prevailing business culture in the banking industry weakens and undermines the honesty norm, implying that measures to re-establish an honest culture are very important. 4. What Works? 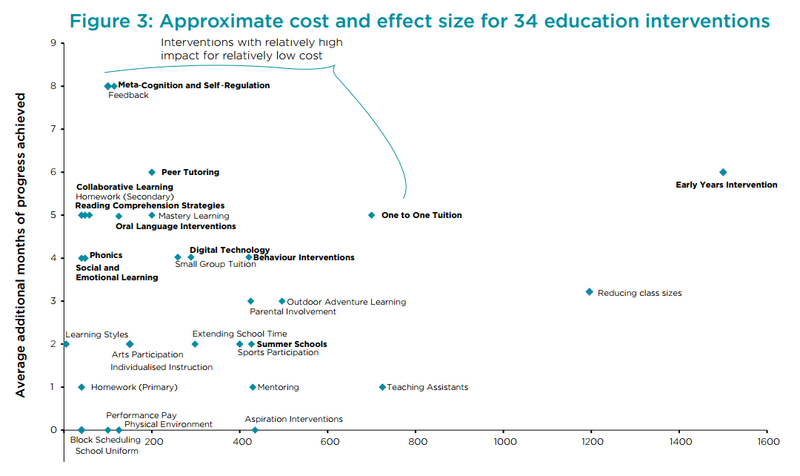 Evidence for decision makers: A new report from the UK government looking at what works (and doesn't) across many different interventions in health care, education, crime reduction and other major policy domains. 5. Diener, Oishi & Park (2014), An Incomplete List of Eminent Psychologists of the Modern Era, Archives of Scientific Psychology.